Enter Your Information Below to Enter to Win This Weeks FREE Give Away! 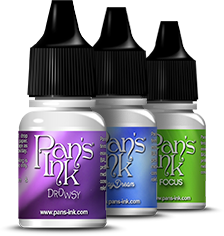 3 Pack of "Pan's Ink"
TEN WINNERS will be selected! Subscribe to our mailing list to get Discounts, FREE Gifts, Show Updates and News! Your information is not shared.